There are four little words that every writer and/or artist dreams will one day apply to their work: "New York Times Bestseller." Break out the bubbly, Questers, because today's the day! Here's the link, scroll down to #7, and howl! This has been a dream of ours from Day One. Still kind of stunned...! 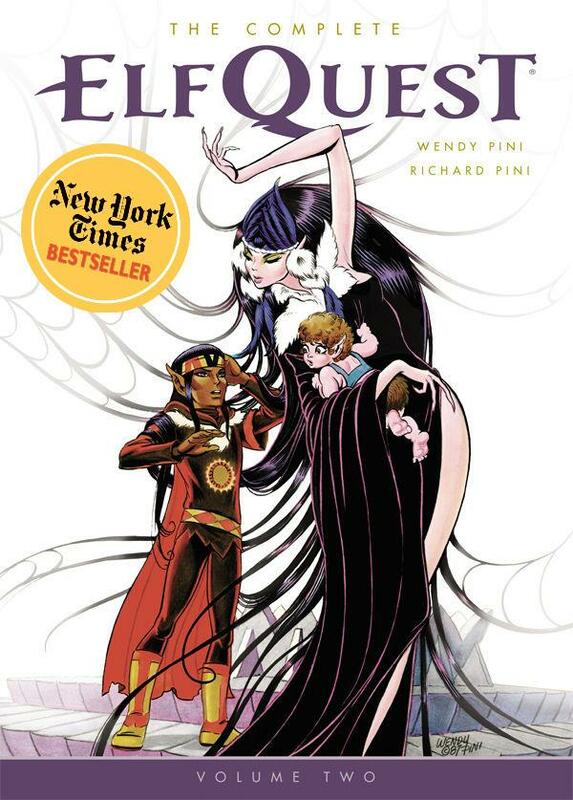 Congrats, ElfQuest! :-@ Ayooooohhhaaa! Congrats, Wendy and Richard! How exciting! I'm so glad! AWESOME! I contributed! So proud of you guys! That list is quite short in terms of description and doesn't capture EQ in its entirety but anyway it looks like a probably good thing to see EQ being recognized (no pun here) by the (serious) mass media. Congratulations. whoot whoot! let the dreamberry wine flow! Cool!!! Dreams come true!!! I congratulate on this victory!!! I will howl for your pleasure and success!